As the cost of doing business increases year in, year out, large organizations have been looking for ways to cut down on costs even as their workforce increases. An increase in workforce will usually also mean increased cost of renting new premises to accommodate the new staff. However, this is no longer the case. 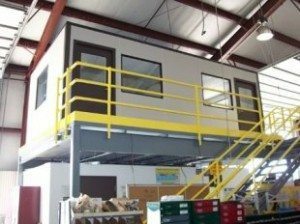 With industrial modular buildings by Panel Built, organizations can efficiently use the vertical space they currently have at their premises for new offices or storage areas. Modular building systems have been adopted across various industries including education, healthcare, manufacturing, non-profit, among others. Panel Built Inc. specializes in installation of modern modular building constructions and has highly qualified engineers who can tackle the most challenging installations. Prefabricated modular buildings are affordable and can easily be installed at your premises to create extra offices or space. The buildings are more cost effective than conventional offices built using traditional construction methods. The systems can be used for new constructions or as extensions of pre-existing structures. The resulting buildings are fully functional, aesthetically pleasing and can be used for various purposes. Flat Pack Buildings – With this system, the building’s panels are individually prefabricated at the factory and then assembled on-site. This system works best if we determine that the pre-construction of the whole unit will cause transportation problems. The panels are usually small and can therefore be easily transported to the site, where they can be assembled to form the modular building panels. Volumetric Buildings – These modular buildings are fully constructed at the factory and then transported to the site for installation. The resulting structures are sturdy and durable, suitable long term habitation. Steel frame Units – These systems are often used in conjunction with traditional building methods. For faster and efficient construction, we fabricate the skeletal steel frame at the factory, transport and install it at the site. After installation, we can then use traditional construction techniques to complete the building. Prefabricated modular buildings systems are faster to build than conventional building structures. If you need a fully functional structure within a short time, then modular buildings are the way to go. Not only are the structures built faster, but they are also cheaper and cause minimal distraction on the site during installation. Prefabricated modular buildings are best for projects have strict timelines, tight budgets and low on-site manpower. 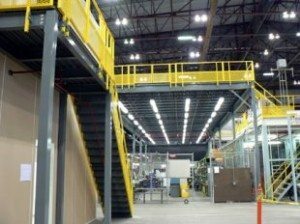 All our buildings components are built to the highest standards in the US. Having passed stringent measures and quality standards, you can be sure the structures will last for a long time. Panel Built’ modular buildings have won accolades from environmentalist as the majority of materials used with them are recyclable. While modular building systems have mostly been used in the business industries, they are also making headway in residential buildings. Real estate developers are taking a keen interest in the building systems. The efficiency and the low cost of production of modular buildings systems make it easy for homes to have entirely new space units that can be used as storage areas or extra rooms. Residential modular building systems are safe, comfortable and affordable. The time taken to construct them is short. At Panel Built, we take into consideration the customers’ requirement to fabricate and install fully functional housing units that come in amazing designs. Businesses often need to expand their operations. Such expansion projects need not to be time-consuming and expensive ventures. With our modular buildings for sale, business downtime due to expansion is minimized and the solutions will easily fit your budget. Moreover, if your business is leasing the property and thus permanent modification to the premises may not be viable, modular buildings will still work. We can install portable units that you can move with in case you are relocating. Panel Built’s metal modular buildings solutions are tailored to different specifications. Whether you are a business or home owner seeking a reliable solution to your expansion needs, our modular building solutions will fit your requirements. When building the units, we will take into consideration your requirements and come with the components prefabricated. The units are quality builds which are sure to surpass housing regulation standards set in your state. Click here to find out more about Panel Built’s modular building systems.